Jumbo has been awarded an offshore decommissioning project in the North Sea by TAQA Energy BV, involving the removal, transportation and disposal of three subsea protection domes and piles. 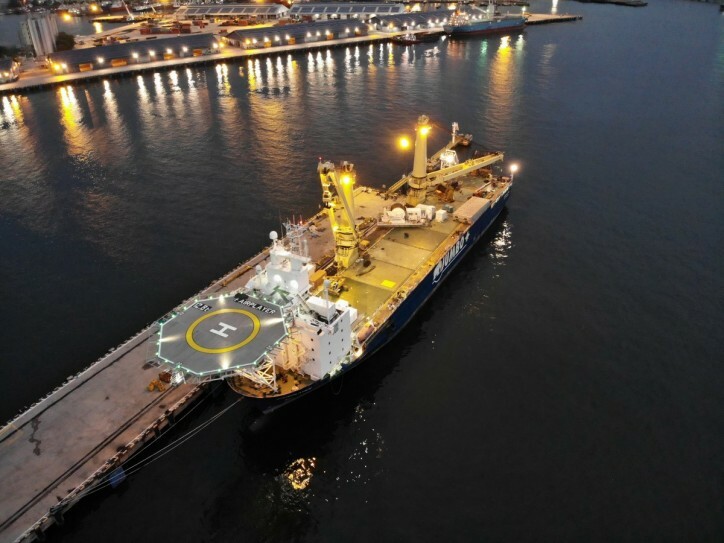 The removal operation will take place in the offshore series of fields located in the P15 block 35km North West of Hoek van Holland, Dutch North Sea, at a water depth of 26-28 metres. This project is part of the emergent North Sea decommissioning programme, where much of the offshore oil and gas infrastructure is reaching the end of its productive life and must be safely removed and disposed. Jumbo’s MV Fairplayer is the vessel chosen to execute this project in 2019/2020. The team will recover and transport three subsea protection domes, each with a dry weight of 150t, as well as removing 9 piles. Furthermore, the pipelines and umbilicals at each dome will be buried with mattresses. By removing and transporting the structures to shore on one heavy-lift crane vessel, Jumbo can provide the ideal cost-efficient, reliable and safe decommissioning solution.